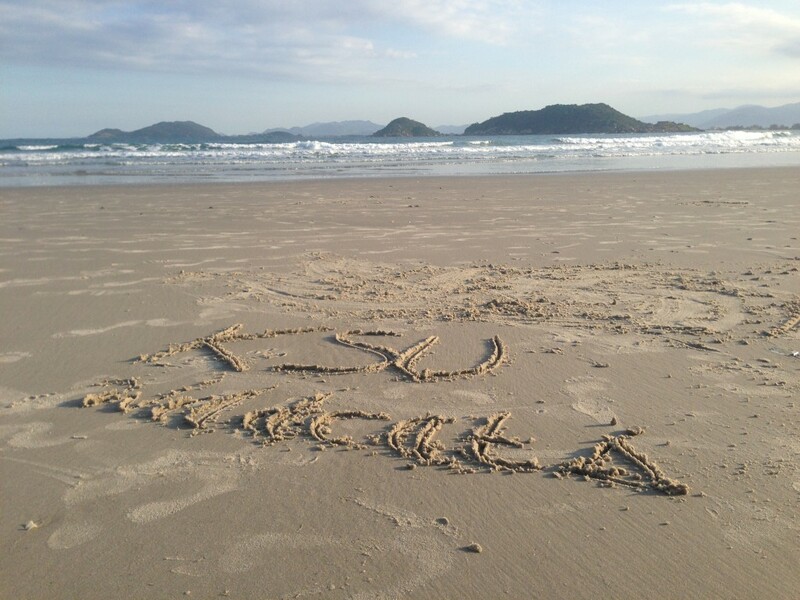 Study Abroad Newsletter – Discover the World! Discover Yourself! 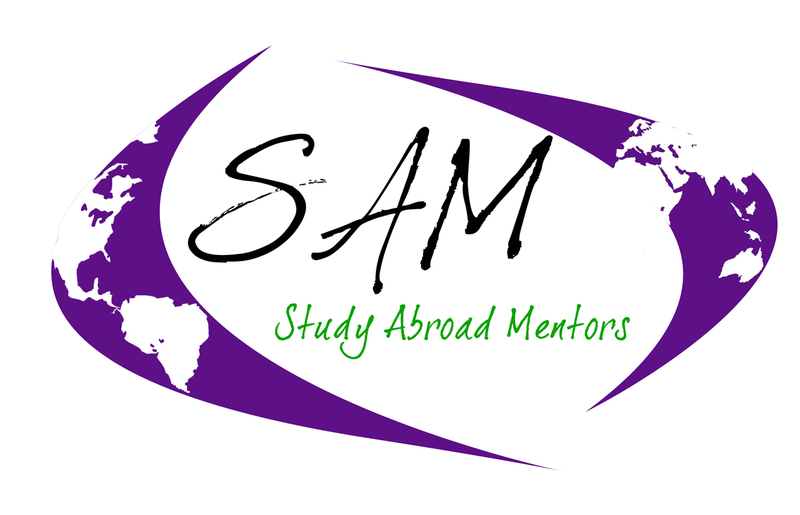 In 2013, the Office of International Programs created the Freshmen Education Abroad Scholarship (FEAS), to encourage students to enroll in internationally themed courses at KSU, and to encourage KSU incoming freshmen to start planning for study abroad during their 1st semester on campus. The FEAS is a two-part scholarship, which initially provides up to 10 students a $750 scholarship which goes towards the tuition of a Global Issues & Perspectives course, or the LEAD 502 Global Citizenship course. Those 10 recipients also receive a $2,000 scholarship to help fund a study abroad program. 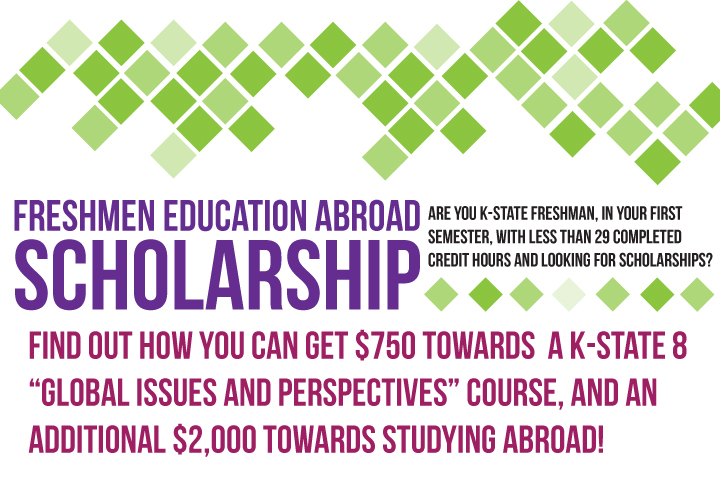 Students who receive the $750 are not required to study abroad, but if they choose to do so, the $2,000 is available to them to use during a future term for study abroad. 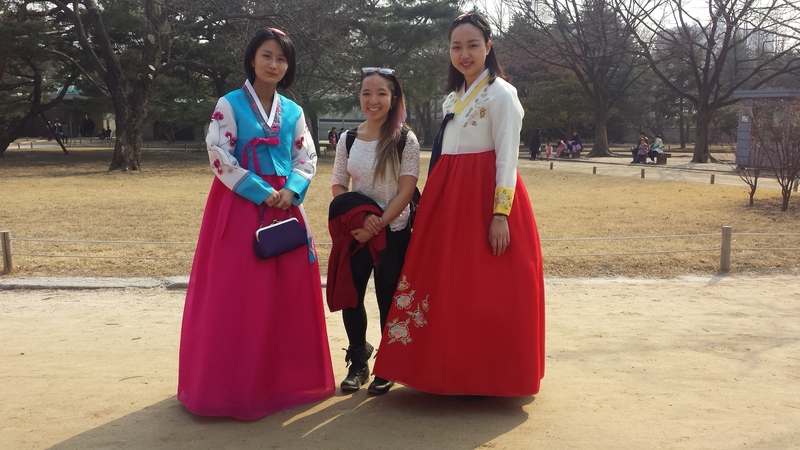 Fall 2015 marks the 3rd cycle of this scholarship, and the recipients of the 1st and 2nd cycles are starting to return from their study abroad experiences. 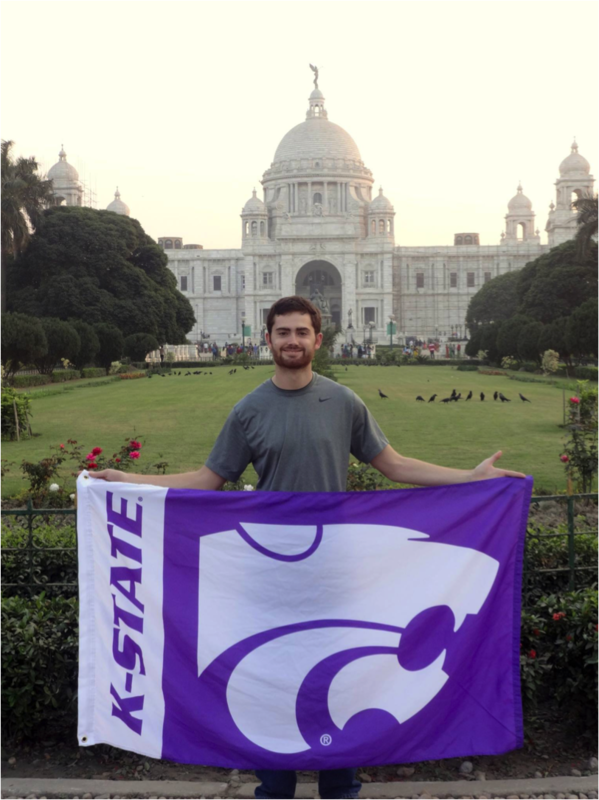 Among the many different study abroad scholarships is a unique opportunity for members of the Delta Upsilon Fraternity (DU) at Kansas State University. 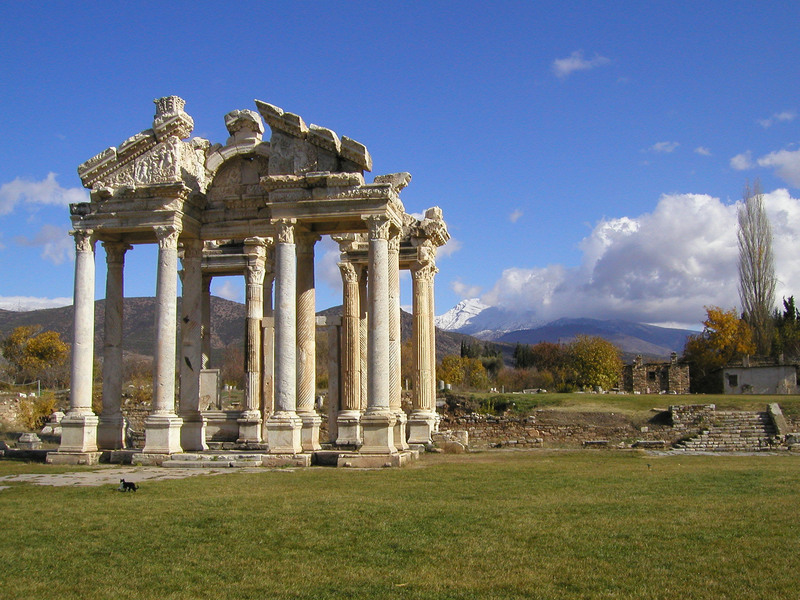 KSU and Delta Upsilon alumnus, Paul Edgerley (Accounting, ’78), created the DU Edgerley Global Study Abroad Scholarship to provide funding assistance for chapter members participating in a semester long study abroad program located in a non-English speaking country with an emerging economy. Paul Edgerley, is now a Management Director for Bain Capital. This article includes an interview with two students, Ryan Knight and Nathan Mckinney, who were graciously awarded the DU Edgerley Global Study Abroad Scholarship. Below they give some information about their unique experiences abroad and how this assistance was so integral to their opportunities. Corey Fortin (Agribusiness and Animal Science, ’06) is a KSU alumnus and recipient of the Distinguished Young Alumni Award for his work managing international development programs in Uganda and around the world. He credits his international career to his time spent studying abroad. Fortin originally spent a summer in Prague at the Czech University of Life Sciences (CULS) during his undergraduate program at KSU and this experience was what pushed him to continue the international trend. After graduating from KSU, he spent almost-8-months in Belgium as part of his graduate program. These experiences helped him set his sights on an international career and he hasn’t look back since. We caught up with him to learn more about his study abroad experiences and how they influenced his personal goals and his career path. 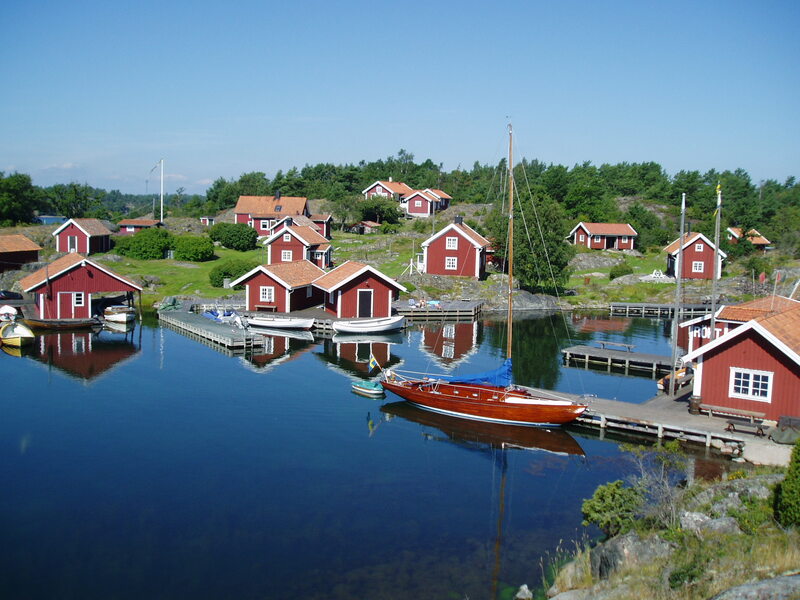 Among the numerous agreements Kansas State has with various universities across the world is an exchange agreement with Linnaeus University (formerly Växjö University) in Växjö, Sweden. The nature of the agreement with Linnaeus University (LNU) is a Bilateral Exchange Agreement – meaning K-State is allowed to send students to study at Linnaeus for K-State costs and vice-versa for Linnaeus University and LNU costs. Since the partnership between K-State and Linnaeus (then Växjö University) began in 2002 the universities have exchanged nearly 30 students including Sara Hallengren, from Karlskrona, Sweden, in the fall semester of 2012 and Logan Gauby, from Washington, KS, during the same semester. It would be my best guess that, in more instances than not, smartphones have become more of a daily (maybe even hourly) routine for a lot of people – and that isn’t always a bad thing considering the sheer amount of information now available at our fingertips. 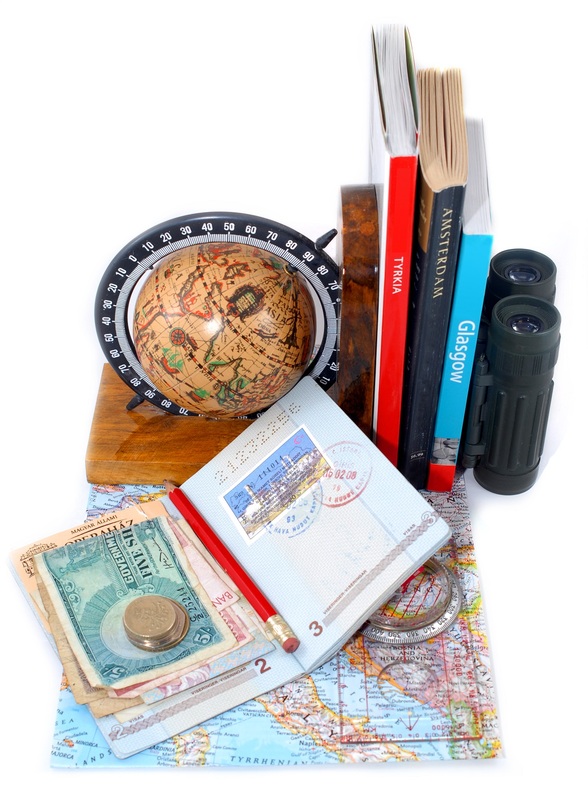 Scrolling through and browsing the list of applications available it is obvious there are apps for nearly every facet of one’s life that you could hope for… including traveling! Scarlett Rampton was an exchange student from the University of Portsmouth (Portsmouth, England) at K-State during the Fall 2012 semester, majoring in Political Science.